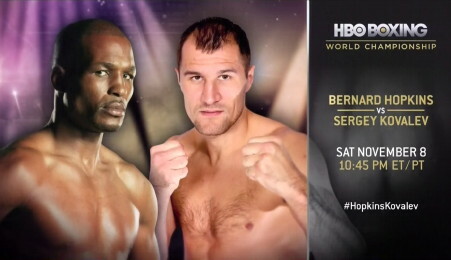 Hopkins v. Kovalev: Just How Old Is Bernard Hopkins? Watch HBO Saturday, November 8, 2014 to see if Hopkins can defy father time once again. You are here: Home / Boxing News / Hopkins v. Kovalev: Just How Old Is Bernard Hopkins?